After the holidays, so many stores have amazing sales on their old items as they prepare for the new year, spring and upcoming holidays. Target is the best for clearance sales, I love finding that little red sticker on an item. 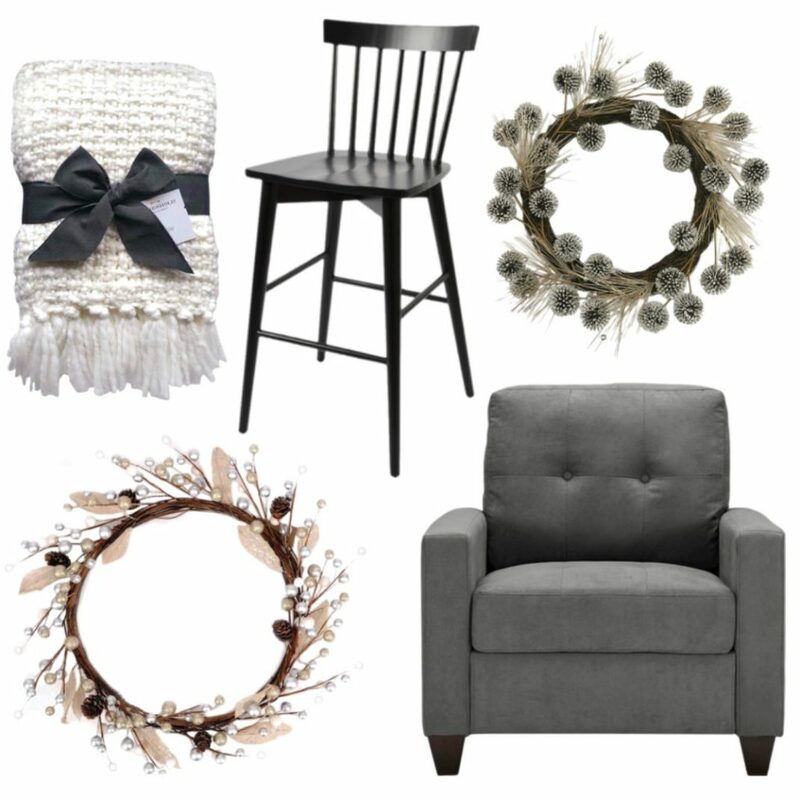 I picked a few items on clearance that are great for transitioning into winter decor. Sometimes, our homes feel empty after the Christmas tree comes down and all the decor gets put away. Keeping a few wreaths and chunky throws will help make a space feel cozy even after the holidays are over. Don’t forget free shipping & in-store pick up and an extra 5% off with a Target REDcard! These items have been super discounted – the chair is around $150 and the barstool is only $50. What are some of your favorite clearanced items? Do you have trouble decorating after the holidays? I try to keep my home from feeling sad and bare when the holidays over, so I give it one more month of cozy decor and then I’m ready to dive into spring and a fresh start! Love all of these items! I need to go check out their clearance. I always forget to check there!